The naturally rich fibre texture of Fruit Hitz is bursting with all the health benefits of an average sized apple. 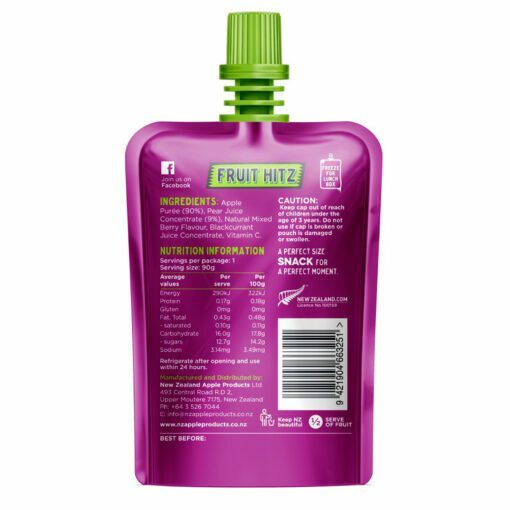 No sugar, preservatives or artificial colours have been added. 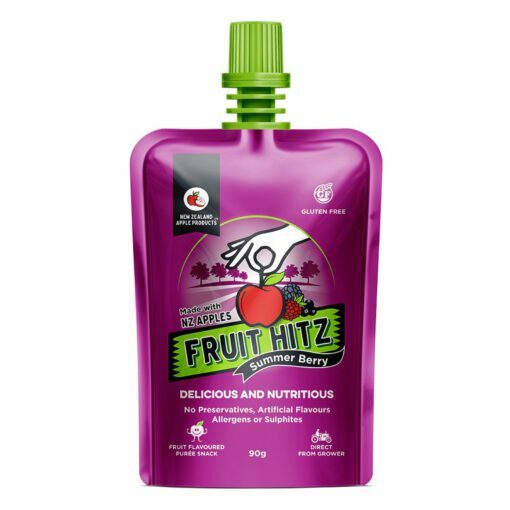 Fruit Hitz are gluten free and are also a great source of vitamin C.
Apple Purée (90%), Pear Juice Concentrate (9%), Natural Mixed Berry Flavour, Blackcurrant Juice Concentrate, Vitamin C.